Did the seller mention the fire? The house was gorgeous, but, when we went in the attic we found burned wood work and paint covering the damage. Amazing! 1. WHY SHOULD I HIRE A REAL ESTATE INSPECTOR FOR A NEW HOUSE, THE BUILDER TOLD ME I DID NOT NEED ONE? Historically over 80% of the items noted in a resale inspection report are items that were improperly done during the construction of the house. Although builders are now required to be licensed and to adhere to the International Residential Code, most builders have little knowledge about building. Builders know how to make money from building. Many builders now employ engineers or inspectors for so called "quality control". Most of the engineers or inspectors are no more than apologists for these builders. The quality of new construction has not improved from these "quality control" inspections. 2. WHEN SHOULD I HAVE YOU OUT FOR NEW CONSTRUCTION INSPECTIONS? There needs to be three inspections for new home construction. The foundation inspection should be performed when the foundation is ready to be poured. The vapor barrier, all steel reinforcing members, all electrical components in or through the slab and all plumbing components in or through the slab should be installed. The foundation plans must be available for the inspection to be effective. Allow a minimum of three hours for a foundation inspection of a 2000 square foot slab if the plans are available. The second construction phase is the framing inspection. All framing components should be installed, the electrical wiring, the plumbing pipes and the interior heating and air conditioning equipment and ducting should be installed. The building plans should be available to insure that the house has been constructed as it was designed by the structural engineer. The last inspection is the final construction phase inspection. It is performed when all appliances and systems are installed and operating and all utilities are permanently connected. This inspection should be performed as soon as possible to give the builder time to address any issues found during the inspection before closing. 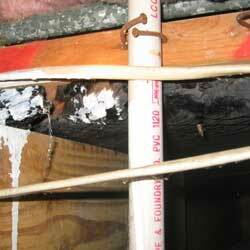 I will provide a written report on each of the three phase inspections. Each report will cite building codes, explanations from the building code commentaries and/or the manufacturers installation instructions as I deem necessary to explain the issues to you and to your builder. Should your builder refuse to address any of these issues, you should have your builder state his/her reasons for refusal in writing in case problems arise in the future. You should be present at each inspection so that I can explain each item to you. 3. WHAT IS A ONE YEAR WARRANTY INSPECTION AND DO I REALLY NEED IT? At the end of the first year of life of the structure, you have the opportunity to have the builder correct or adjust any item that was improperly constructed or installed, has gone wrong or has been troublesome during the year. You should take this opportunity to have the house inspected again. Hidden or latent defects not discovered during the final construction phase inspection may have become apparent after a year's time. Mechanical equipment may have begun to show signs of manufacturer's defects. Items noted during the final construction phase report that were reported repaired by your builder may be found to have not been repaired. New products and materials are routinely introduced and information on performance, durability or safety concerns may have arisen since the construction of the house. 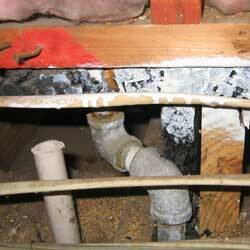 The inspector should address all of these areas during a one year warranty inspection. 4. SHOULD I BE PRESENT AT THE INSPECTION? Absolutely. Only in extraordinary circumstances will I perform an inspection if my client is not going to be present, at least at the end of the inspection and, even in the event of the extraordinary circumstance, I will insist on meeting my client at the structure before the end of the due diligence period. There may be any number of items you will need to be shown for clarity and I may need to ask for your ideas or concerns on some items. There may be unusual features that you will need to be shown. You may need to see the item to fully understand the comments in the report. This is your opportunity to question me and to gain as much information on items of concern as I have to offer. The inspection is the beginning of the due diligence process, not the end. Use the inspection to your advantage so that you use the due diligence time period effectively. I wish I could accurately predict the duration of an inspection however; each inspection is unique. The average time for a residential inspection of a 2,000 to 2,500 square foot house is three hours, but budget extra time. You do not want to rush an inspection. Sometimes the small, beautifully kept new house has more problems than the large, messy older house. 6. I URGENTLY NEED THE REPORT, WHEN WILL I RECEIVE IT? Except in unusual circumstances or in the case of very large homes, the report will be emailed to you in a PDF format the morning after the inspection is performed. If there is an exception to this rule, it will be that there are a tremendous number of issues and the report will be exceptionally long. 7. WE WILL BE MOVING OUT OF HOUSTON, WILL YOU DO OUR INSPECTION ON OUR NEXT HOME? I have clients that have flown me to other states to perform their inspection or consult with their licensed inspector in another state. I have performed inspections in Texas - Dallas/Ft. Worth, Austin, the Valley and everywhere in between. 8.WHAT DO I NEED TO DO BEFORE THE INSPECTION? Make sure all utilities are on and operating. I will not turn on any utility, even if it is just that the water is turned off at the side of the house. Turning on a valve on a utility company meter is considered to be theft by the utility provider. You will need to arrange to have the house opened by a Realtor. 9. WHY DO YOU COST MORE THAN OTHER INSPECTORS? I'm not sure that I do. I've seen price lists from some of my students who just received their licence and their fees were higher than mine. But the question should be one of value. I may have a high price, but in the long run I won't cost you much. I take pride in keeping current with all new aspects of construction and have many years of practical experience. Most important, I will be very thorough in performing your inspection. Other inspectors may have a low price, but they may actually cost you more. Will a lower priced inspection really save you money if major or even minor defects are missed? 10. MY REALTOR SAYS THAT YOU TEACH OTHER REAL ESTATE INSPECTORS AND NEW INSPECTORS. WHY? I was appointed to the original Real Estate Inspector Committee by the Commissioners. I served 12 years on the committee and I was heavily involved in the creation of the Minimum Standards of Practice for Licensed Real Estate Inspectors and all other rules for inspectors. One of the assumptions the committee made was that inspection schools and trade associations would teach experienced and prospective inspectors how the various parts, components and systems in a house actually work. We found that the schools were teaching the inspectors how to pass the examinations. For example, in the course I teach for continuing education on electricity I give licensed inspectors a test. The results of these tests reveal that only 3% of the inspectors tested can describe what electricity is. Very few inspectors understand framing systems or the continuity of frames. My purpose in teaching is to provide inspectors with knowledge on how and why things work. I can also provide you with that information. 11. THE SELLER AND/OR REALTOR HAVE TOLD ME THAT I SHOULD USE THEIR PREFERRED INSPECTOR - WHY? Many realtors and sellers want the house to sell quickly with few problems. A "preferred" inspector is often an inspector that finds very few defects and facilitates the seller's and realtor's desire to close quickly. The inspector is relying on the Realtor's referrals to stay in business. The inspector's loyalty is to the Realtor, not necessarily to you. As a reminder, unless you have hired the Realtor as a buyer's Realtor, both Realtors represent, and are being paid, by the seller. In the classroom environment, I have new students eagerly say that they will get a bunch of referrals from their friends or family members who are Realtors. I always give my standard reply, "that won't last if you are any good as an inspector." There are exceptions. There are a few Realtors who want a thorough, detailed inspection. These Realtors know that a happy buyer will send more referrals. These wise Realtors value those referrals. Before selecting the seller's/Realtor's preferred inspector, ask to see some copies of the inspector's reports. Determine for yourself if the reports indicate that the inspector is detailed enough for you.